Located in Rutherford County, Murfreesboro is the fastest growing major city in Tennessee. In spite of its growth, its small-town past is reflected in a historic district with tree-lined streets, older homes, venues for live country music, and charming cafes. Money ranked Murfreesboro as the 84th-best place to live in the United States in 2006. The city is home to numerous parks and has a greenway system with 12 miles of paved paths. Several music and arts events take place in the city every year. The nearby town of Smyrna was ranked by U.S. News and World Report as the best place to retire in 2007. Another Rutherford County community, La Vergne, is one of the fastest developing small cities in Tennessee. If you are hurt in a car crash in this area, you should consult an experienced injury attorney. The experienced Murfreesboro Car Accident Lawyers at Matt Hardin Law have helped numerous victims in local communities such as Smyrna, La Vergne, and across Tennessee pursue compensation for harm caused by car wrecks, truck wrecks, wrongful death, medical malpractice, slip and falls, nursing home negligence, and other types of accidents. When you’ve been hurt in a car accident, you need a law firm that understands Tennessee car accidents laws and understands how to get the best possible outcomes for its clients. At Matt Hardin Law, we pride ourselves on our legal knowledge and our ability to help our clients the money they need to move forward with their lives after serious car accidents. Whether this is your first car accident or you’ve been in this situation before, you likely have many questions about the path to receiving compensation and how the legal process will play out over the following months. Our frequently asked questions page can help these questions and more and give you peace of mind about your claim. If you still have questions or concerns following a car accident in Murfreesboro, don’t hesitate to contact our lawyers. The minutes, hours, and days after your accident are a critical time not only for your health but also for your chances of getting the money you need to pay for your medical bills and replace your lost wages. 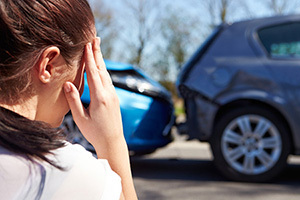 This page includes a list of five things that all car accident victims should in the immediate aftermath of their accidents to protect their health and their rights from the insurance company. It is also recommended that you reach out to the Murfreesboro Personal Injury Attorneys at Matt Hardin Law to seek skilled legal guidance. If you are hurt in a collision, you may be saddled with substantial medical bills and may need to take time off work. Tennessee’s statute of limitations, found at § 28-3-104 of the Tennessee Code, gives plaintiffs one year after an accident or injury to bring a lawsuit to recover damages for the costs associated with it. What happens if the defendant answers the lawsuit and alleges that somebody who is not a party to the suit caused or contributed to the crash? For example, multicar pile-ups are not uncommon, but they can make it more difficult to establish negligence. It is not always clear who is at fault for these types of accidents. Under § 20-1-119 of the Tennessee Code, the plaintiff has an additional 90 days from the defendant filing the answer to allege an additional defendant’s fault, even if the statute of limitations has run. This is important particularly in cases where the injuries are serious, costs are high, and a defendant has limited liability insurance available for car wrecks. In Tennessee, defendants are usually held liable for only their share of the total amount of damages. That means if comparative fault is raised, the jury will rule on an overall compensation award and allocate responsibility among the parties. The plaintiff then will only be able to recover from each party to the extent that a party is actually at fault. There are certain exceptions to this general pattern, such as the “family purpose rule.” Our Murfreesboro car accident attorneys can determine whether other exceptions may apply in your case. This rule applies when the head of a household allows a relative who lives there to use the family car. For example, a plaintiff might allege negligence against a reckless teenager after an accident and only learn later that the teenager was borrowing the family car. If the driver’s father knew he had a history of DUIs and entrusted him with the car anyway, you might have a cause of action for negligent entrustment against the teenager’s parents. To prove negligent entrustment, you would need to prove that the car was entrusted to somebody incompetent to use it, with knowledge of the incompetence, and that its use was the proximate cause of your injuries. In that case, both the teenager and the parents may be jointly and severally liable, so you might potentially recover on the full judgment from either of them. For example, if you receive a compensation award of $200,000, and the teenager was 70% at fault and his father was 30% at fault, they will be considered jointly and severally liable. You can collect the entire amount of $200,000 from either defendant. If you are hurt by a careless or reckless motorist in Murfreesboro, Smyrna, or La Vergne, an aggressive car wreck lawyer can represent you in a lawsuit to seek the damages to which you are entitled. These can cover both objective and subjective forms of harm, such as missed wages, property damages, medical bills, and pain and suffering. Contact Matt Hardin by calling (615) 600-4941 or send us a message through the contact form on our website.